In the first instance you should visit the vets surgery and make yourself known to the receptionists. The receptionists are on the front line in any surgery and if you have a good relationship with them they will usually go out of their way to help you. Give them one of your business cards and ask if you can display an advertisement on their notice board. Never pin an advertisement up without permission. Most veterinary waiting rooms have notice boards and will more than likely have several cattery advertisements. Make sure your advertisement stands out. Many veterinary surgeries have open days when they will invite their clients to look around their premises and see what is on offer. Basically these are promotional days for the surgery, and there is no reason why you should not go along and take advantage of the day. You should introduce yourself to the vets and show an interest in everything they tell you. Ask questions relating to the good management of your boarding cattery, they will be only to pleased to give you the benefit of their knowledge. You may have all the answers already, but they will remember you. You are not in any way taking advantage of them you are simply marketing yourself and your business. Even in the best run catteries there are occasions when you will need to call on the services of a vet. If at all possible try to use the vet that the owner uses. Most vets will not make house calls but as you are normally drawing on the local population for your clients, you should find that most of the vets will be in your area. When you present the cat for treatment, make sure the vet knows that it is not your animal and that you own such and such a cattery. You will stay in their minds as a responsible cattery owner. Will a Veterinary Surgery Recommend my Cattery? The short answer to that is no. No vet will ever recommend a cattery or kennels. They do have a list and will give this to the client. If you have made a really good impression they might even give your name first, but they will not openly recommend you. 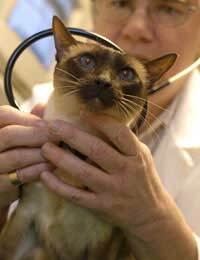 Some vets have their own boarding facilities particularly for old cats or cats on medication. A good all round relationship with all the vets in your area is worth it's weight in gold.